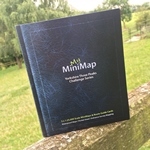 To find the book, map or guide you are looking for, first select the area you are interested in by moving your mouse over the map and then click on a region to view our range. Signup to be the first to hear about new titles and special offers. The spectacular county of Yorkshire is lucky enough to have both the North York Moors National Park and the Yorkshire Dales National Park within its borders so, whatever your walking tastes, you are guarenteed to find a walk to suit your needs. Yorkshire Dales South covers the area from Hawes to Settle and Skipton including Wharfedale and Malham. Yorkshire Dales West covers Upper Ribblesdale, including the Yorkshire 3 Peaks - Whernside, Ingleborough and Pen y Ghent, the Howgill Fells, and Dent, Sedbergh and Kirkby Lonsdale. We had so much fun making our Lake District Quiz Book that we've crossed the border for our second brain-teasing gift book, the Yorkshire Quiz Book. Explore Yorkshire and bring each panoramic scene to life with more than 200 stickers and activities. If you are new to walking in the Yorkshire Dales, you're in for a treat, as we trace our way up the Three Peaks. The Yorkshire 3 Peaks Challenge is a famous route which involves scaling the three highest peaks in Yorkshire, within 24 hours. So if you’d like to take on the challenge of the 3 Peaks, then these are the maps for you! All 3 of the maps are at 1:25,000 scale and printed on the same Rite in the Rain paper as our normal personalised MiniMaps which are fully waterproof, allowing you to tackle the challenge in any weather! John Burland, the founder of the Wainwright Society and a regular contributor to Cumbria & Dalesman magazines has written a book containing 30 walks in the Yorkshire Dales, located in the six dales of Ribblesdale, Airedale, Wharfedale, Nidderdale, Wensleydale and Swaledale. The Yorkshire Wolds Way is a 127 km (79 mile) walking route in the chalk landscape of the Yorkshire Wolds. Tony Gowers’ completely updated, expanded and re-designed National Trail Guide offers the essential companion to the forgotten but fascinating landscape through which this Trail runs. The A-Z Adventure Series of maps combines the best of OS and A-Z, creating the perfect companion for walkers, off-road cyclists, horse riders and anyone wishing to explore the great outdoors. This area map is in the Sustrans series showing the National Cycle Network and local routes in this area. It covers the Yorkshire Wolds Cycle Route, part of the Way of the Roses route, Trans Pennine Trail East and 5 individual day rides. The Three Peaks of Yorkshire – Ingleborough, Pen-y-ghent and Whernside – hold a unique fascination and focal point for all who head to the Dales. They dominate the landscape, shape those who work with and around them, and together offer one of the toughest challenges in England. Yorkshire, it has been said, is 'a continent unto itself', a region where mountain, plain, coast, downs, fen and heath lie close.